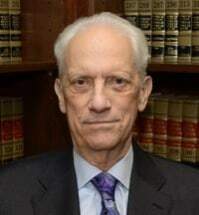 Allan W. Masters is a former domestic relations judge who oversaw domestic relations cases ranging from child support to orders of protection. He was appointed as a Circuit Court Judge of Cook County by the Illinois Supreme Court in 2001 and left the bench in 2014. The time that Judge Masters spent as a trial judge in the Domestic Relations Division provides him with deep insight, perspective, precision, and understanding of the legal system to safeguard, and protect clients and their children. Judge Masters received his Juris Doctor from Loyola University School of Law and his Bachelors from Loyola University. After law school he was hired by the FBI to be a Special Agent. He then joined the Cook County State’s Attorney Office in Chicago. After being a State’s Attorney, he ran his own highly regarded law firm, where he focused on family law and criminal defense work. In the 1980s, Judge Masters worked on the first of its kind pivotal legislation for the Chicago City Council that sought to equalize and protect the Lesbian, Gay, Bisexual, and Transgender community. Judge Masters is also a sought out lecturer on issues related to domestic violence, the Illinois Parentage Act and on child kidnapping issues with respect to the Hague Convention. Judge Masters has served as a Pro Bono General Counsel to the Oglala Lakota Tribe in Pine Ridge, South Dakota, and to the Director of the Indian Child Welfare Act, Navajo Nation, Window Rock Arizona, where he has worked to address economic development, public health, indigenous rights, and child welfare issues. Judge Masters is licensed to practice law in Illinois and California. He is a member of the Illinois Judges Association, American Bar Association, Illinois State Bar Association, Chicago Bar Association, and National Association of Inspector Generals.